I’m in the mood to do something different. Also, I haven’t managed to finish anything this past week because I’ve been sick. The kind of sick where you do a lot of sleeping, not the kind of sick where you do a lot of reading. The worst kind of sick, therefore. I haven’t given up on it, but I’ve put The Scar by China Miéville to one side for the time being. I started it at the end of last year when I was having my reading crisis and I kept picking it up and putting it down. I love Miéville and I know I’ll go back to it, I’m just not yet in the mood. 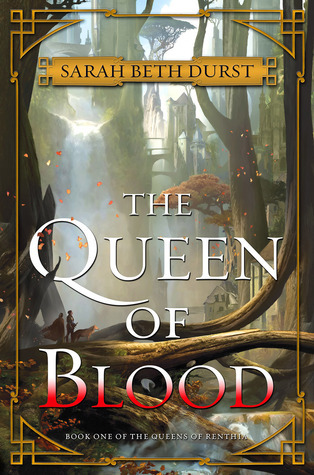 Before that my last DNF was The Queen of Blood by Sarah Beth Durst. I’ve read a few great reviews for this, it sounds totally up my alley, but I just … couldn’t. I don’t know why. Just not in the mood, I guess. I love to re-read! There’s nothing better when you’re feeling crappy than to go back to a book you know will be awesome. 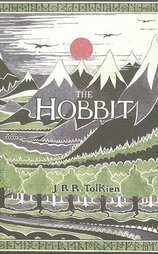 Most recently I re-read Tam Lin by Pamela Dean so that I could gush about it here and The Hobbit by JRR Tolkien because that’s been my Christmas re-read for a long time and I was trying to drag myself out of the aforementioned reading slump. I have just bought The Quantum Magician by Derek Künsken because of Little Red Reviewer’s kickass review, Rosewater by Tade Thompson because of Mogsy’s (over at Bibliosanctum) brilliant review and The Strange Case of the Alchemist’s Daughter by Theodora Goss because of multiple great reviews and its lovely cover. I also just picked up a copy of A Face Like Glass by Frances Hardinge from the library. I don’t need any reason for that. Hardinge rules! I don’t think I’ve ever done this. I’ve skim-read books to get a sense of what they’re about, usually if they’ve been recommended to me by a customer whose book tastes I’m not yet sure of, or if I’m trying to find a particular bit of info, but I don’t see any reason why I’d say I’d read something if I hadn’t. No one’s going to think more or less of me for having not read something … are they? Ooo, controversial! 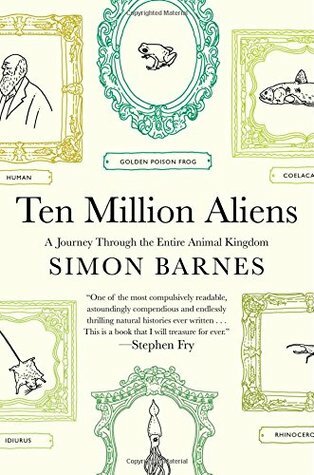 Ten Million Aliens by Simon Barnes. Yes, I write in the margins of my books. Not my fiction books so much, but most of the non-fiction I own is scribbled in. Because firstly, books aren’t sacred objects. Just because something is printed doesn’t mean it can’t be corrected, argued with, highlighted, or cross-referenced. And secondly, how else am I going to remember that thought, or find again that bit without a visual aid? If it makes anyone feel any better, I never fold down the corners of pages. That’s sacrilege! Last year I wouldn’t have been able to answer this question. I don’t go to book signings as a rule, and I’m not terribly keen on the idea of going to crowded public places (shudder) to meet people just because they’ve written something that blew me away. However, I was given the opportunity to go to a book talk/signing being given by Marcus Zusak for his new book Bridge of Clay. Zusak gave a brilliant talk, was thoroughly engaging and I got a copy of Bridge of Clay signed on behalf of the library afterwards. The whole experience was nothing like I’d expected and I feel slightly more interested in maybe possibly meeting an author or two in the future. Unfortunately, Terry Pratchett, Diana Wynne Jones and Ursula Le Guin are all unavailable for future talks/signing, which narrows down the field of authors I care enough about considerably. I do have a book signed by Diana Wynne Jones, which I found in a charity shop last year. I didn’t realise it was signed until I got it home, and it’s addressed to ‘Clare’, but I thought it was pretty cool nonetheless. Even the little lad on the cover is impressed. I thought I’d lost my copy of Welcome to Night Vale by Jeffrey Cranor and Joseph Fink when I felt like re-reading it a couple of months ago and couldn’t find it, but it turns out a friend of mine is still borrowing it. I can’t find my copies of The Hero and the Crown and The Blue Sword by Robin McKinley, and that’s far more upsetting because they were both bought for me by a friend who passed away a couple of years ago and it matters to me that I don’t have them to hand. She’d written in the front of them. 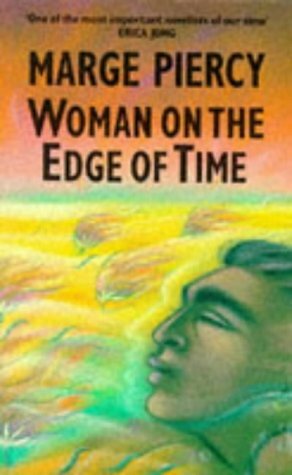 I didn’t have to replace it, but I found a gorgeous second-hand copy of Woman on the Edge of Time by Marge Piercy the other day which hands down beats my little pulp paperback copy. This newer copy has got lovely floppy pages and when I open it the spine doesn’t threaten to break. 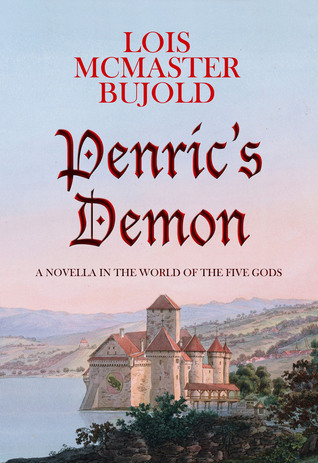 I’m still trying to find copies of Penric’s Demon and Penric and the Shaman by Lois McMaster Bujold that don’t cost the earth because I’ve heard great things about the Penric and Desdemona books. Unfortunately, I don’t read ebooks, which would solve this problem immediately. But it’s not like I’m going to run out of things to read any time soon, so I’m not too worried. So, this was fun! Anyone else wanna have a go? And oh, I do hope your copies of the Robin McKinley books show up sooner or later – it would be awful if they were gone forever! fun tag!! you don’t turn down the corners of pages? uhh…. don’t look at my bookshelves, please! #4 just makes me go “huh?”. I can understand not advertising that you haven’t read Book X, as advertising one’s ignorance is generally looked down upon, but to outright lie? It is a lack of self-confidence or a desire to be more than one actually is? Or something more sinister? Like aliens insidiously invading our culture and destroying us from within. Right? It makes no sense. 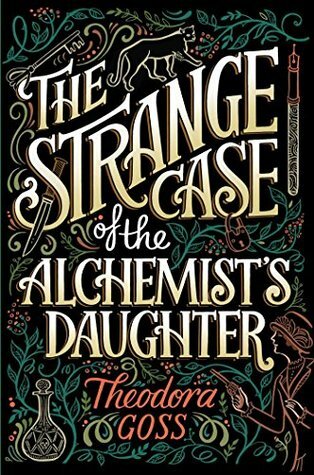 Wow, it’s been a while since I read The Strange Case of the Alchemist’s Daughter! It’s a pretty fun ride, so I hope you enjoy that one. 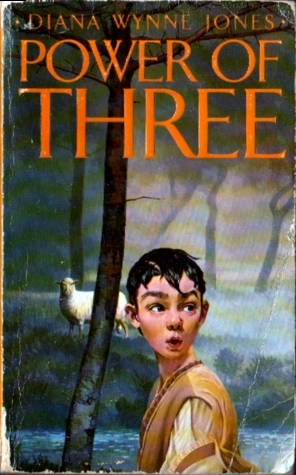 I myself have yet to read A Face of Glass, but I’ve heard it’s surprisingly deep for middle grade. Btw I’m in the same boat with book signings. I have only a handful of authors I’d really want autographs from, but they never come to my area, so that’s a bust haha.